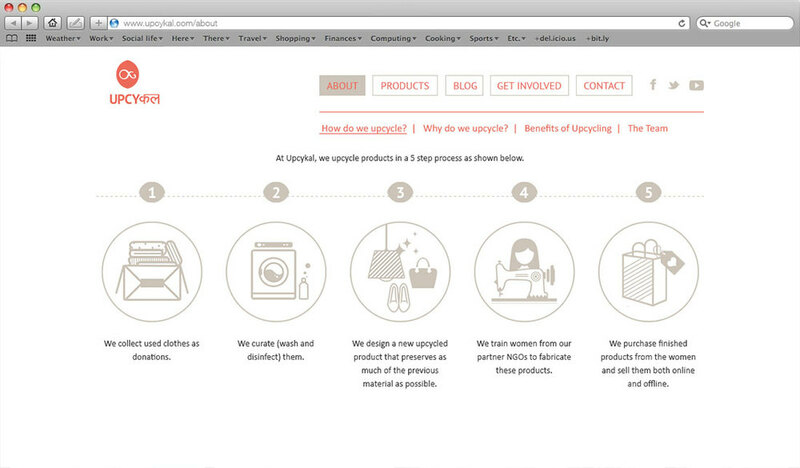 Upcykal is a social enterprise that designs and fabricates merchandise from used textiles that emerges from a social and environmental sensitivity thereby promoting this consciousness. The website takes inspiration from the logo designed by Anugraha which is the intersection of two circles. The circle's in the design stand for process and their intersection stands for the end product.